Rosemary Hill, BSN, CWOCN, CETN(C), Joshua Douglas, MD, FRCPC, ABIM. Infectious Disease and Critical Care Internal Medicine, Lions Gate Hospital, Vancouver Coastal Health, Vancouver, BC, Canada. Presented at CAET 2018. Proceedings of the Canadian Association for Enterostomal Therapy National Conference; 2018 May 3-6; Victoria, BC, Canada. 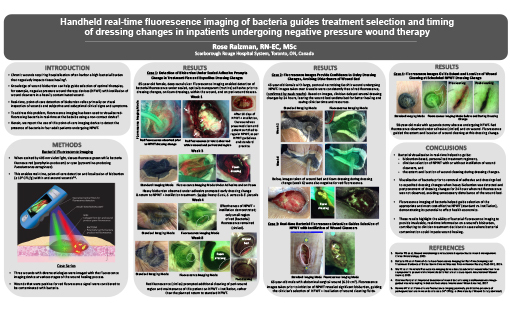 Real-time, point-of-care detection of critical bacterial colonization relies primarily on visual inspection and clinical signs and symptoms. 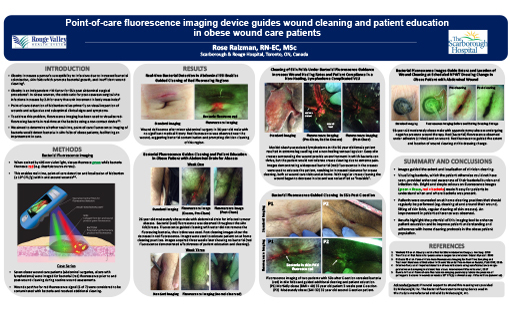 Fluorescence imaging has recently been used to detect bacterial fluorescence in wounds at the bedside. 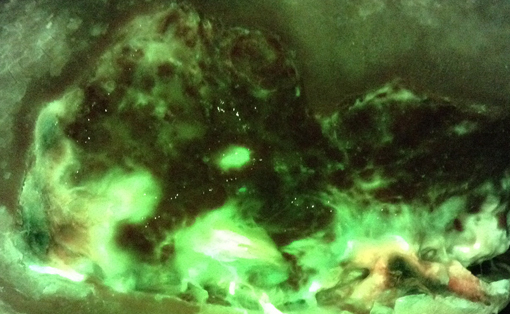 This pilot study aimed to assess its effects on clinician decisions and patient care. 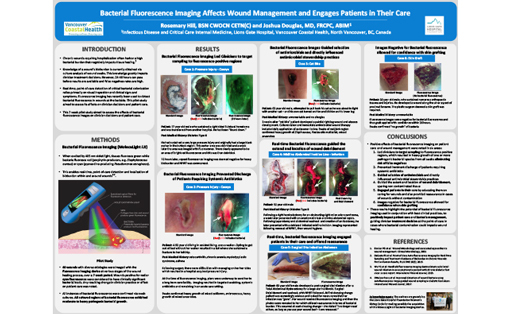 Positive effects of bacterial fluorescence imaging on patient care and wound management were noted in 6 areas: (1) Led clinicians to target sampling to fluorescence-positive regions, which resulted in heavy growth of one or more pathogenic bacterial species from all swabs, eliminating risk of false negatives; (2) Prevented imminent discharge of three patients requiring systemic antibiotics; (3) Guided selection of antimicrobials and directly influenced antimicrobial stewardship practices; (4) Guided the extent and location of wound debridement, sparing non-contaminated tissue; (5) Engaged patients in their care by educating them on caring for wounds with bacterial presence or providing reassurance in cases of wounds without contamination; (6) Images negative for bacterial fluorescence allowed for confidence when skin grafting.